Few days back I attended an event of Orient Electric at Hyatt Regency Kolkata. Orient Electric had organised a press and bloggers meet to showcase the range of their AeroSeries premium ceiling fans along with the new Wind PRO TPW fans. Orient fans are something for which I’m truly nostalgic about. I grow up having these fans in my life. Whether it my own home, my friend’s house or my school. So when I was invited for this event, trust me it was like a ‘time wrap’ for me and I was so much excited to attend!!! 😀 😀 . The event was wonderfully hosted by Mr. Atul Jain, Sr. Vice President and Business Head of Orient Electric. Mr. Jain has vividly explained the journey of Orient: from Orient fans to Orient Electric. He told how the story of Orient fans started in early 1950’s and now this household name expands their branches in 35 countries. Their Kolkata factory is India’s first fans manufacturing plant and it is recognised globally for producing the finest range of table, wall and pedestal fans. Even it was quite surprising to know that every second fan exported out of India is an Orient fan. He also explained in detail about the Aero Series fans which are designed and developed using aeronautical concepts. These fans deliver high air delivery while operating silently, not to mention the premium looks. These are new-age fans designed to go with the modern interiors. I was literally in awe after seeing these elegant fans in person. Orient has a well organised distribution network which consists of 4000 dealers, 1,00,000 retail outlets and a strong network covering more than 320 cities throughout the country. Isn’t it mind-blowing? Orient is available in all leading online and offline shops (I believe Orient is available in almost all stores in every single lane in India 🙂 😀 ) in India. This lovely event was followed by some of my fellow bloggers, press people and an after-event lunch party. All together it was a great experience with one of my favourite fans brand. 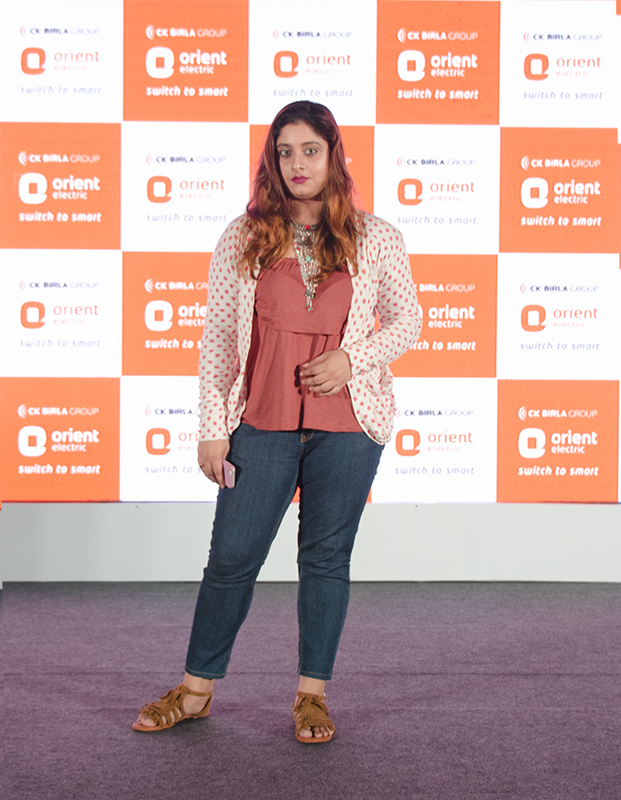 Here are some pictures from the event and I am sure you will love the stylish make of Orient Aero Series fans. Enjoy! Shop online here – Aerostorm and Aerocool.